I do not want to question Buffet's knowledge at any point, but after reading his views, one conclusion comes to mind: "sell gold and buy American stocks." Buffet is an icon, legend and nothing will change that. The fact is, however, that the past decade has greatly improved his results. Over the past 10 years, global speculative capital has been flowing strongly to the US, as a result of which shares on the NYSE are the most overvalued in relation to other markets since the research has began. What is the probability that such a level will last for a long time? Close to zero. 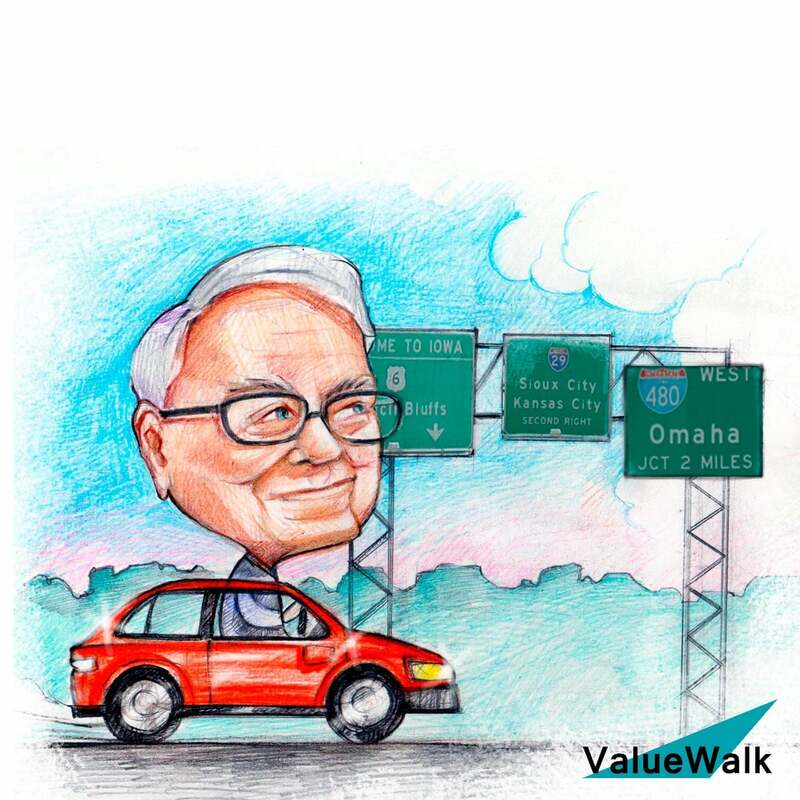 In order to show you how owning such overvalued one asset class in portfolio ends, I will show you the results of Buffett's strategy during several periods that the management of Berkshire Hathaway would probably like to forget. For this purpose, I used the data from the analysis of Meb Faber (not to be confused with Marc), called Global Asset Alocation. For the sake of clarity, Buffett's strategy is based on investing roughly 90% of capital in US equities. It is not surprising that it works well when the prices of NYSE stocks growing strongly. What if stock prices are not changing or falling? In 1973 (beginning of research) - 1980 Buffett's strategy have suffered real losses (after taking inflation into account) in the amount of 4.78% per annum for 7 consecutive years, reaching a cumulative loss of 38.6%. A lot. Why did this happen? 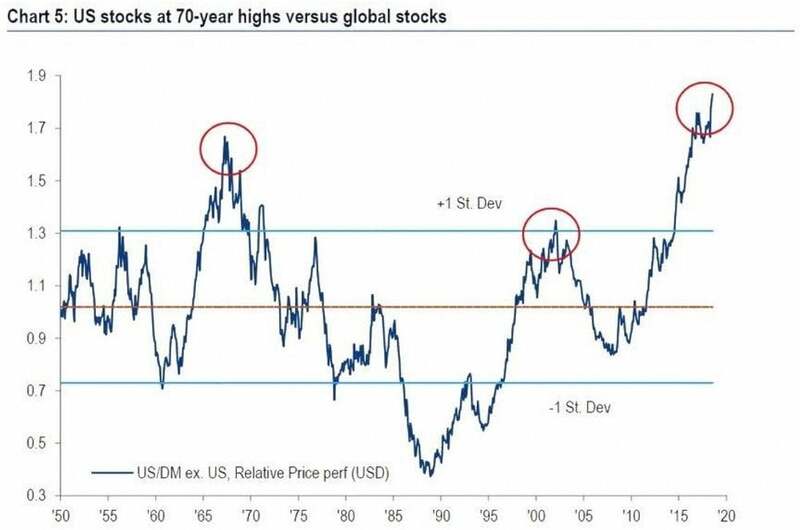 First of all, the starting point of the analysis was the time when stocks in the US were expensive. 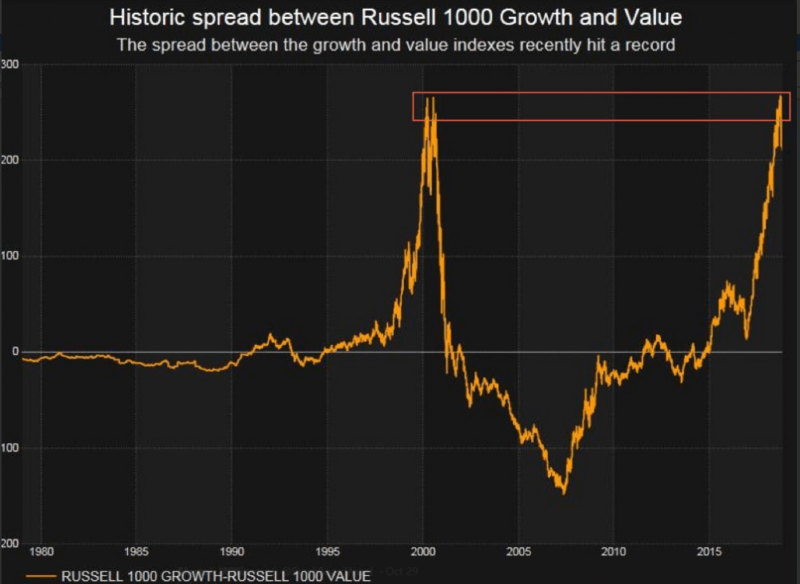 They were no longer in the extreme bubble phase like 4 years before, but the valuations were still at a very high level. 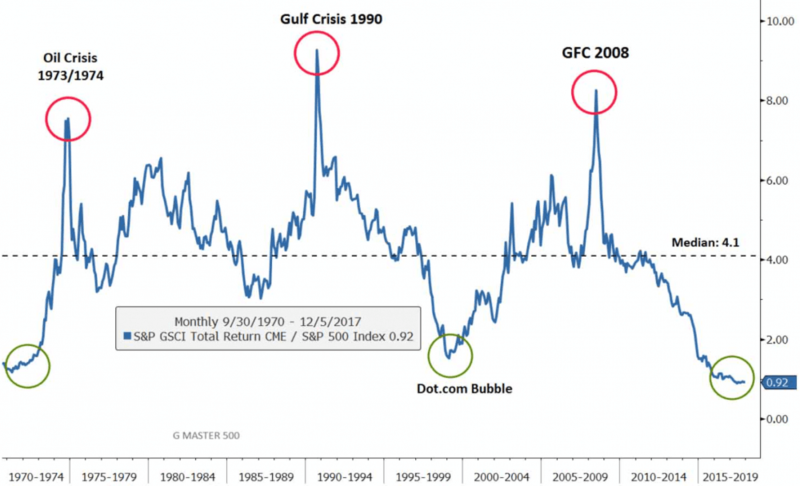 If we would analyze the period from 1969 (the bubble's peak), the investment loss based on Buffett's strategy would reach 60%. The story, as you know, likes to repeat itself and the years after 2000 have not been good for Buffett's strategy for the same reason as three decades earlier. Very high valuations !!! Well, owning US shares for the first decade of the 21st century has generated a real loss of 2,91% per annum. Apparently it is low, but the compound interest for 10 years has made its job. We can not forget that in 2008 a significant part of the companies of the Buffet's portfolio have been given 800 billion dollars of non-returnable assistance at the expense of taxpayers in the form of TARP without which many companies would have disappeared from the market. It is worth noting in the case of some portfolios, such as Permanent (described several times on the blog) or Marc Faber's portfolio, the declines have been much smaller, which we owe to diversification into assets inversely correlated with shares. What I absolutely want to emphasize is the fact that the 1970s belonged to commodities and precious metals, not shares. As you can see below, virtually all portfolios based on shares or bonds has been hurt heavily. The model based on the Buffett strategy has lost an average of 3.5% annually, 60/40 (stocks / bonds) over 4%. Bonds has lost the most - over 5%, as a result of drastic increase in inflation and interest rates. Two portfolios that have generated a profit above inflation are: Faber - investing 25% of capital in gold or platinum and 25% in real estate or REITs and also a classic Permanent portfolio. a) Well, over the past decade, central banks have printed enormous amount of the currency, just like the US in the 1960s, to finance expenses related to the construction of "Great society" and the war in Vietnam. Buffett's investments and his strategy are two completely different things. I really respect Buffett's approach to investment. His results, especially in the last decade, are very good, but his portfolio is too dependent on the US stock exchange, which has been demonstrated by 48% decreases after Lehman's bankruptcy, and on that time shares in the US has not been as overvalued as it is now. In my opinion, Buffet's mistake is bypassing both commodities despite their strong undervaluation and precious metals, which he stigmatizes in public statements. I do not really understand why he does not talk about commodities, but negative statements about gold are most likely a part of a deal with the establishment of the United States. Buffet is the part of a dollar based system and its global supremacy. He has been the great beneficiary of TARP in 2008 and probably must somehow pay off debts to maintain a good relationship with the people who control the system.